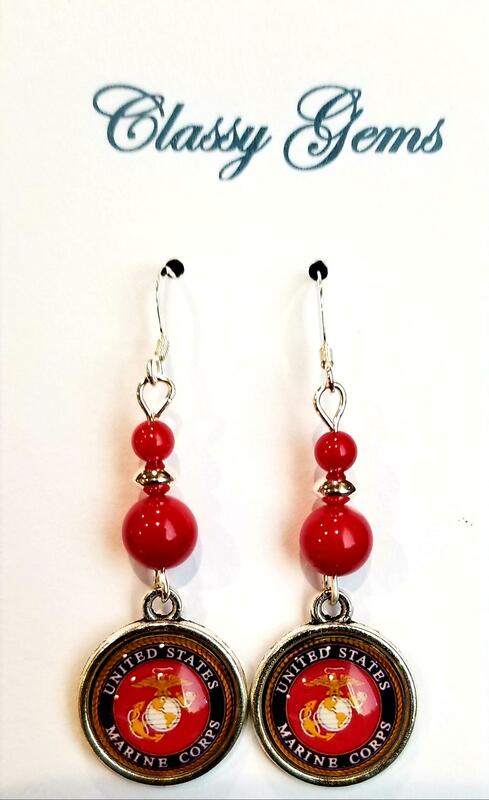 These are sterling and coral earrings with Marine Corps EGA. We have a limited quantity of these items. $5 of every order goes to the MCATA scholarship fund. Price includes shipping. These will be available at our reunion in New Orleans. If you have questions contact Carol at Carol@classygems.com.